“Saturday in the Garden” Workday in the HAS Demonstration Garden, Sat, June 6, 9:00 a.m. to 11:00 a.m.
As always, we’re happy to have you come help out in the HAS Demonstration Garden on the “Saturday in the Garden” workday. ( Refreshments will be provided and a variety of tasks are available, so please come even if you feel you can’t do intense physical labor! 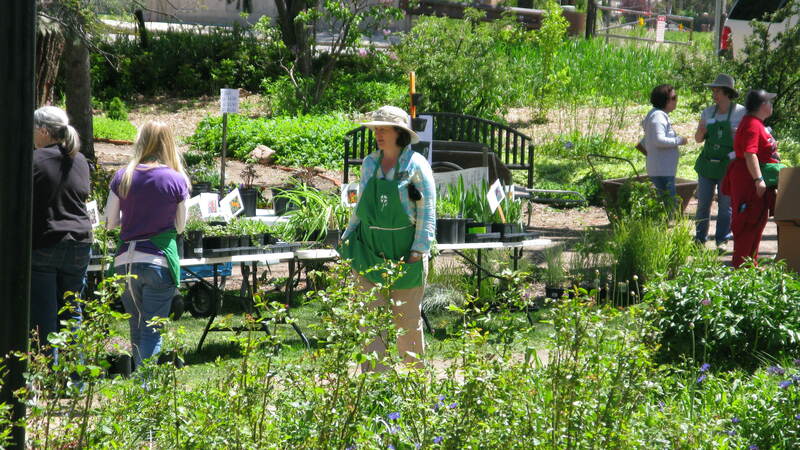 It’s a fun opportunity to get to know other gardeners as well as to get more familiar with our garden. Members’ Only Plant Sale, Sat, June 6, 11:00 a.m. to 2:00 p.m.
We do have some plants left from the big plant sale, and they’ve been lovingly tended by our gardener (Thanks Diane!) and are in terrific shape. Most plants will be discounted and special pricing on the tomatoes! Everyone could use at least one more tomato, right? (And they make marvelous Father’s Day gifts.) Come on down to the HAS Demonstration Garden to the hoop house area in the NE corner of the garden and shop. This year, we’re able to accept cash, checks, AND credit cards at this sale!